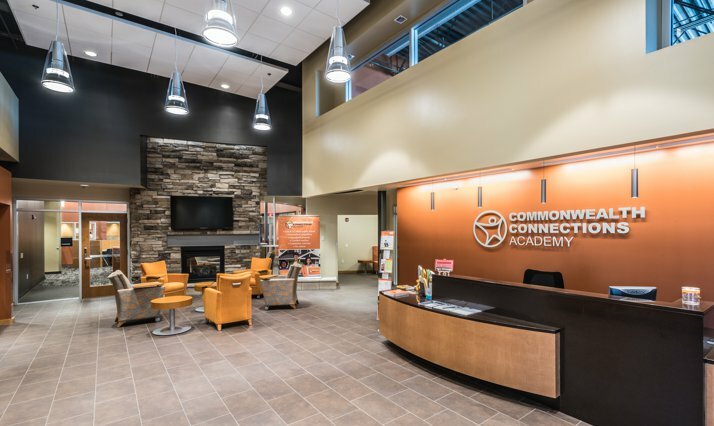 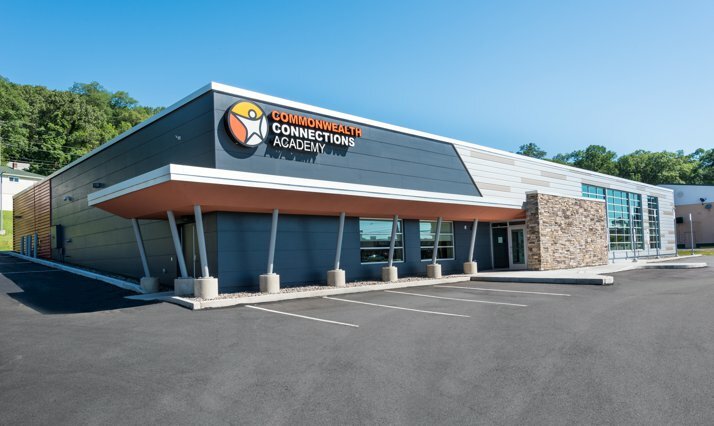 Quandel Construction Group was hired by Commonwealth Connections Academy, a publicly-funded K-12 cyber-charter school, to be the General Contractor for the conversion of an existing Petco pet store into a new Teachers’ Center. 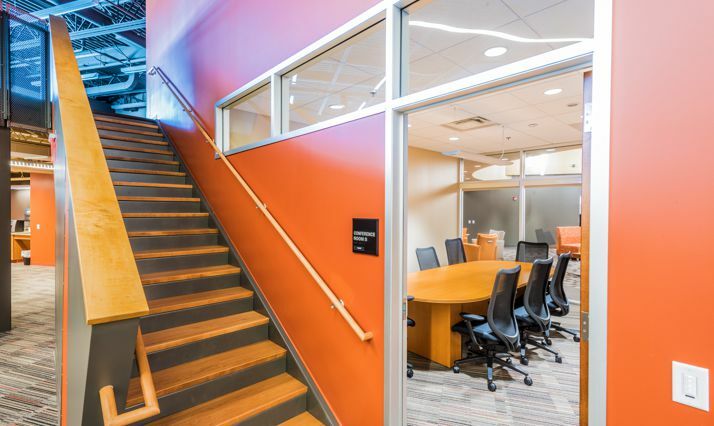 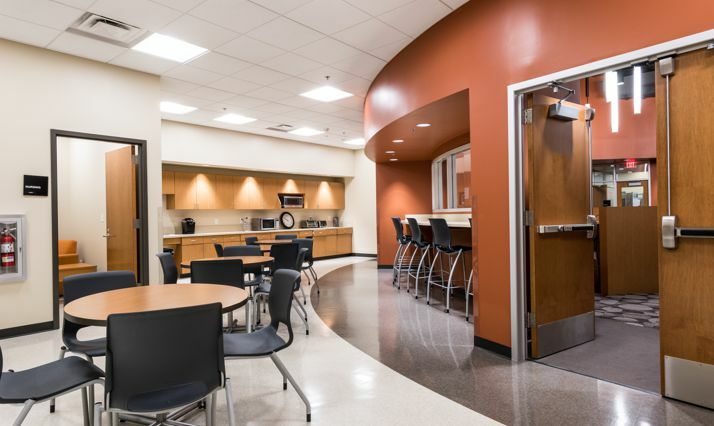 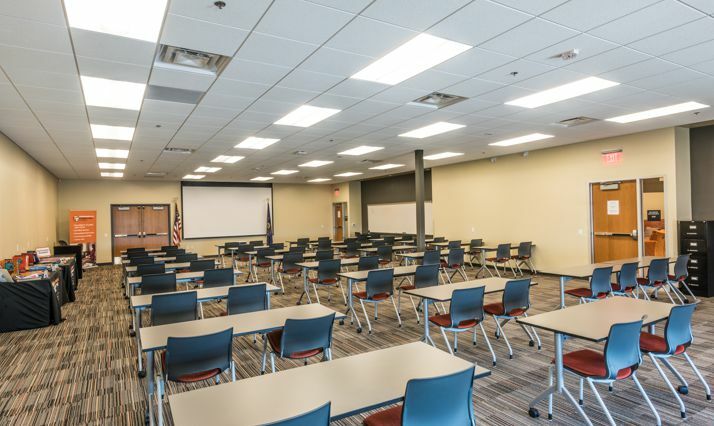 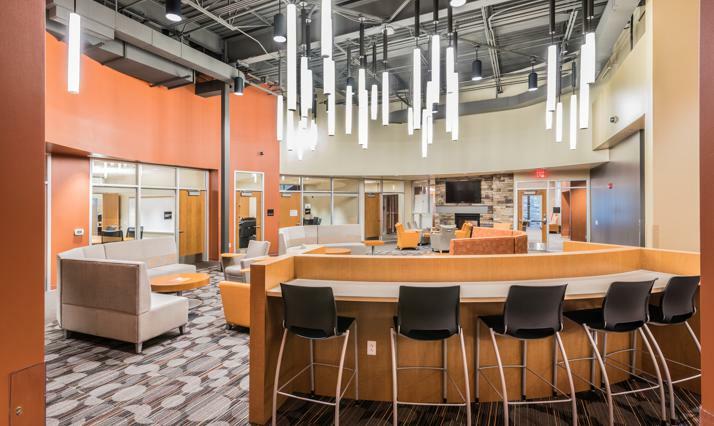 The 17,800 square foot facility houses studio, multipurpose, and lab space for approximately 180 students and faculty, as well as conference rooms, offices, break room, storage and support spaces. 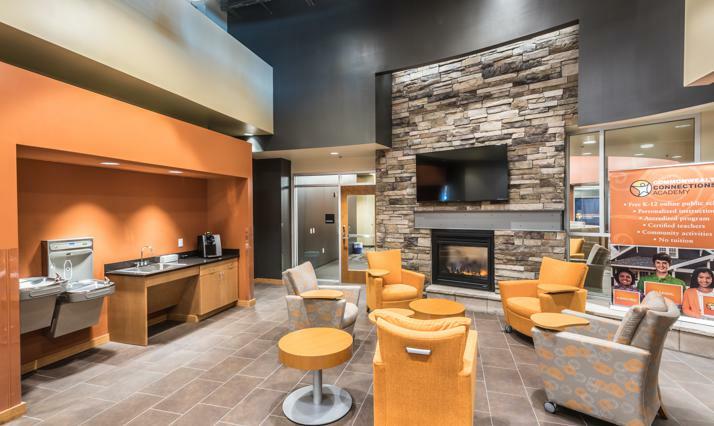 New lobby includes a fireplace and mezzanine houses open studio area with additional independent workstations and offices. 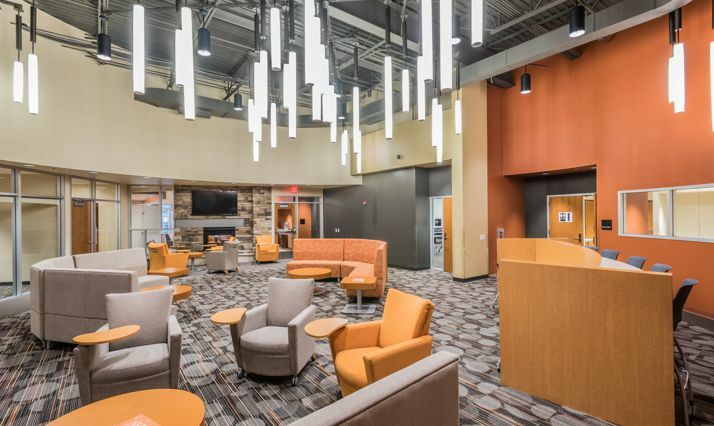 Included in the project was selective demolition for complete renovations of the interior and exterior, as well as vestibule and canopy additions. 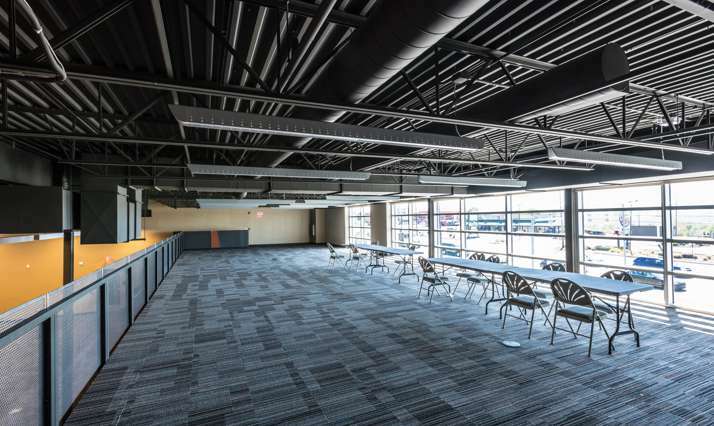 New construction consisted of structural steel, steel joists and metal deck, exterior metal wall panels, fiber-cement board siding panels, aluminum storefront, entrance and curtain wall systems, casework and interior finishes, specified mechanical, electrical and plumbing systems, as well as a new roof.